I have recieved a few questions on the Motodynamic tail light so I figured I would do a write up after the fact to help out. Is it brighter than stock? 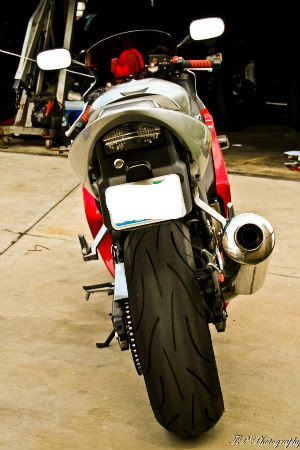 How did you mod the tail with it after taking of the signals? Un bolt the old tail light and signals, cut the wire from the old signals and pull it into the trunk area. 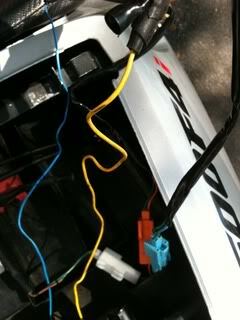 Yellow wire from new light goes to blue positive, and blue wire goes to orange positive. 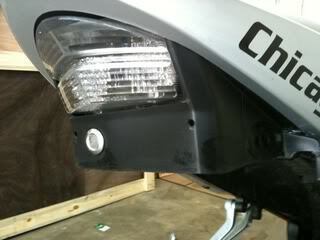 There is a harnes from the old tail light that will plug directly into the new light as well. 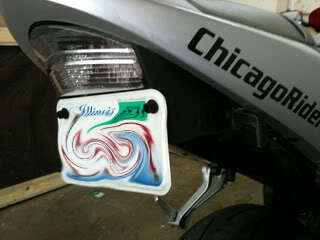 The white plug is the old licesnse plate light, you dont need it, tape it up and tuck it away. When connected and done, zip tie the wires and tuck them in the back of the large trunk. 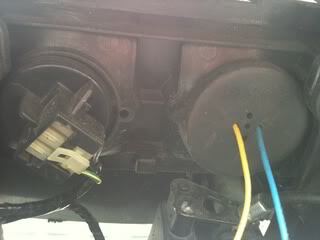 Another picture of the harness and the lines coming from the new light bolted in. 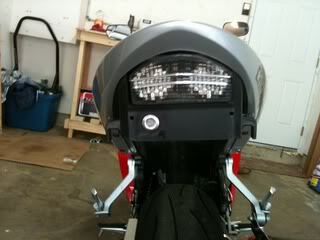 Here is the tail light installed without cutting the whale tail. I took an air cutting tool(You can use a dremmel but it will take longer) and cut the tail right above the licesne plate where you see the crease in the plastic mold. After cutting the tail and sanding it a bit, I drilled holes in the plastic to fit the plate screws. You have to leave the lock on unless you plan on relocation somehow. With the plate screwed back in. Here is the video of the turn signal in action.